Oracle NetSuite has recently announced a series of new innovations. They aim to help organisations across multiple industries grow revenues, reduce costs and expand internationally. The company expects the new functions will help businesses maximise the benefits of cloud computing. Starting, growing and managing a business in today’s business environment is more challenging than ever. Competitors on all sides are closing in with new products and services. New disruptive business models and innovative customer experiences are constantly emerging. Commerce has become mobile, social and always-on, as shopping, spending and sharing happens 24×7. Rules and regulations governing data privacy and taxes are constantly changing. Customer expectations have never been higher. Size and scale are no longer an automatic advantage. New technologies continue to change the rules. And the pace of change is accelerating on all fronts. 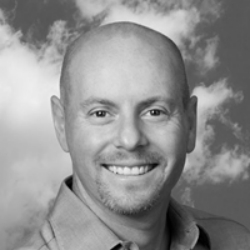 According to Evan Goldberg, Executive Vice President of Development, Oracle NetSuite: “For many entrepreneurs and business owners it can often feel as though the only constant is change. But there are many things that have stayed the same including the mandate for growth. The NetSuite platform include new SuiteSuccess vertical industry cloud solutions and financial management capabilities. The company has developed new themes or pre-packaged customised modules to support B2B and B2C ecommerce sites for specific industries. Themes are optimised for performance, engagement and conversion. They are also fully responsive to provide a consistent experience no matter how shoppers browse the store. These solutions are designed to help European organisations increase business efficiency, adapt to change and achieve faster time to value. More than 3,500 EMEA-headquartered organisations and subsidiaries from 15,000 global organisations already use NetSuite. For customers in the UK and Ireland, SuiteSuccess for Manufacturing provides a structured, agile path to the cloud. This will enable them to quickly and easily add features and modules as their business grows. UK and Ireland manufacturers can now create a single, real-time view of customers, orders, items, and inventory to identify and tackle inefficiencies in supply chains. NetSuite has delivered greater localisation for customers in Finland, France, Germany, Netherlands and Sweden. Financials First automates financial processes, speeds month-end close, improves reporting and provides real-time visibility into the true financial status of the organization. It includes pre-defined roles, KPIs, dashboards and workflows for finance departments. The company also recently announced at SuiteConnect London that customers in Denmark and Norway will gain access to SuiteSuccess Starter. It helps small and rapidly growing companies manage all aspects of their business in a single system. SuiteSuccess Starter helps customers get up and running quickly with pre-configured KPIs, workflows, reminders, reports and value-driven dashboards for daily and strategic needs for all key roles within a business from day one. The company also revealed new features to its NetSuite platform. First announced at SuiteWorld, SuiteTax has been developed to support organisations expand internationally. SuiteTax can simplify global tax calculations through support for nearly any tax rule, anywhere in the world. With SuiteTax, customers are able to calculate sales taxes in 140 different countries. This includes complex tax regimes such as China, India and Brazil. Tax rates can be automatically updated. Users will be able to leverage out-of-the box reporting capabilities to drill down into every tax component. It should ensure businesses know exactly how tax on each transaction was calculated. Another announcement at Suiteworld, was SuiteAnalytics. This embeds analytics within existing business processes and provides an graphical toolset that makes it easy to explore and visualize data. Traditionally, developers and IT needed to manage separate reporting tools, business intelligence systems or data warehouses. According to NetSuite, the platform has eliminated the need for developers and IT. SuiteAnalytics enables end users to quickly and easily get real-time business insights from across every area of the enterprise. The new functions are based on thousands of successful ERP implementations. They also draw on NetSuite’s understanding of businesses across all sectors and the many financial management challenges they face. Just about every aspect of eCommerce has evolved in the last few years. From AI and digital wallets to mobile and social integrations. Consumers continue to flock to digital channels. Market reports from all analyst groups such as Gartner and G2 indicate that the eCommerce market will grow. 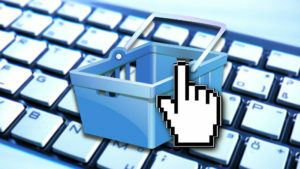 As a result, eCommerce platforms have to evolve. First generation platforms enabled merchandisers to simply build and manage a digital storefront for their products or services. The platform enabled businesses to customise product information, manage web content and layout, allow online transactions to occur, and adjust the platform according to businesses’ online needs. By design, whether we like it or not, businesses have become more customer responsive. Going forward, these eCommerce platforms will need to incorporate the ever-emerging tools that support and maintain digital customer engagement and relationships. Therefore, it is not surprising the latest innovations within SuiteCommerce include new customer engagement, SEO and marketing optimisation capabilities. It also includes a series of visual and interactive extensions that help marketers deliver a personalised and continuous shopping experience. Next articleCitations and Bibliography – A mystery?